This is Kalamazoo Commerce Park. Great location close to I-94 and just off Sprinkle Road. All spaces have docks and/or grade doors. Currently available in Building B is a 6,600 SF space, 15,000 SF, and 9,800 SF space in warehouse area. 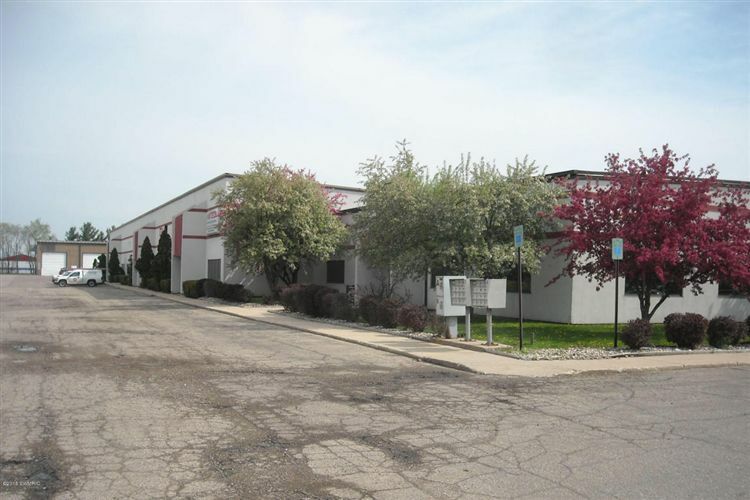 All lease rates are NNN and nets are estimated at $1.99/PSF.Building A space has 4 suites suitable for warehouse or distribution, suites available total 12,000 SF, they may be leased together or in 2,000 SF increments. 6 docks, a dock every 2,000 SF Spaces were used as distribution and display so the front space, with windows, has acoustic ceiling tiles and several have customer service desks. There are 2 office suites in Building A, one has 1,600 SF and the other is 2,500 SF.